2. Sitting in easy pose, lean back to sixty degrees. Fold your arms across your chest and lock your elbows with your hands at diaphragm level. Keep your neck straight with your chin pulled in and roll your shoulders in a forward circle. 3 Minutes. 3. Lie down in baby pose. Bring both hands to the small of your back and interlock your fingers. Raise your arms up into yoga mudra. 3 Minutes. 4) Cross your legs in lotus pose and lean back on your elbows. 3 Minutes. 7. To finish: inhale deeply, hold your breath and tighten every muscle of your body. Hold the breath for 10 seconds and then let it go out of the mouth explosively like cannon fire. Repeat this 2 more times. This set takes only fifteen minutes and it can make you a miracle kid: You can become a successful, Aquarian person..
3) Stil! in easy pose, hook the fingers toqether at the center of the chest with the right palm facinq down, Forearms and elbows are parallel to the ground. Inha!e deeply. Exhale completely with force and apply mul bhand. 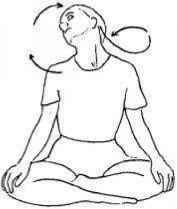 Inhale - hold the breath, apply mul bhand and mentally raise the pranic energy from the base of the spine to the top. Continue this breath cycle for 3 minutes. 5) In easy pose, press the paims together with the fingers pointing up. Puil the spine straight. Press the pa!ms together with 30 to 50 pounds of pressure, Hold the position for 2 minutes. Then relax. This kriya energizes you and helps purify the mind and body. It is an excellent kriya to practice before giving a healing relaxing massage to someone. If you massage people professionally, it can keep your energy together and prevent you from getting drained. Exercise 1 will raise the sexual and digestive energies of the body. Exercise 2 will open the lungs and thyroid. Exercise 3 opens the heart and gives it strength. 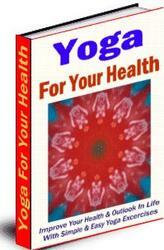 Exercises 4 and 5 increase healing power in the hands and circulation to the upper body. 1. Sit in Easy Pose with your hands on your knees. The chest is out and the shoulders are back. Maintaining this posture, begin vibrating the front of the face, using a very rapid and short up and down vibrating motion. Try to move just the forehead. The breath will adjust itself. Continue for 8 - 9 minutes. 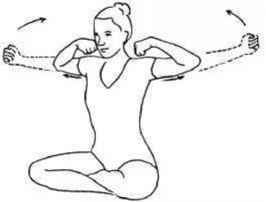 This exercise is called Mastak Subhaee. 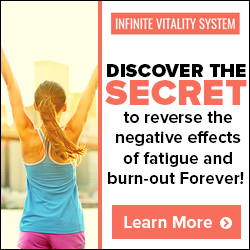 It works on the change and replacement of gray matter in the brain. 2. Remain in Easy Pose with the hands on the knees. Begin rolling the head on the neck in the shape of a side-ways figure eight. The chin comes down to the center of the chest with each circle, twice in a full repetition of the movement. Make sure that the exercise is performed powerfully and steadily with equal timing for each revolution of the head. Continue for 3 minutes at a moderate pace and then sit still for 30 seconds. This exercise is called Infinity Kriya. It is very powerful and must be done carefully and consciously. 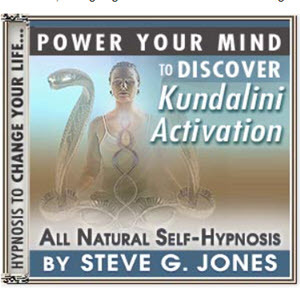 The effect is to balance the central ear which affects clear and conscious thought. 3. Still in Easy Pose, bring the arms straight out from the sides of the body at shoulder level, the hands in fists with the thumbs outside. Inhale and bring both fists in to the top of the shoulders while stretching the elbows out as powerfully as possible and flexing your biceps. Return to the original position on the exhale. Continue the motion for 9 minutes. The musical tape of Sukhmanee Sahib accompanied this exercise in the class. 4. Remain in Easy Pose. Still listening to Sukhmanee Sahib, stretch the arms straight out in front and upwards at a 45° angle with the palms facing down, fingers held together on each hand. In this position begin shaking the head as fast as possible in a very short sideways motion. Shake the skull in a continuous motion for 1 minute. Inhale and relax. 1. Squat down in crow pose, then place the on the ground behind the buttocks. (1A) Inha the hips up into a modified bridge pose. The arched way up. (1B) In this position, begin sw head up and down as fast as you can with b Continue for 15 seconds. Then, continuing breath of fire, alternately ra lower the buttocks rapidly and powerfully (1a minutes. This exercise works on the thyroid and para and adjusts the spine. glandular system, am point. 1. Lie down on your back. Point the toes an< feet together, heels touching. (IA) Hands are the sides. Consciously relax the body from t point up. Keeping the toes pointed, slowly ra to 90 degrees as you inhale. (IB) Then slowl them as you exhale. Keep the knees straight, the toes pointed, ai close together. The breath should be very lo deep. Throughout the exercise the body sho mentally divided into two areas from the nav to should be totally relaxed. (6 minutes) This exercise is good for the circulation, the stomach, and the lungs. 2. Still on the back, bring the legs up to 90 d close together. (2A) Now inhale and open thi as you can. 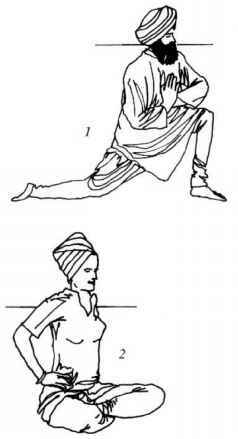 (2B) Next, exhale and close ther Continue, keeping the knees straight and th pointed, for 5-6 minutes. 4. Still on the back, begin alternate arm/leg l inhale, raise the right leg and the left arm to then lower them as you exhale. 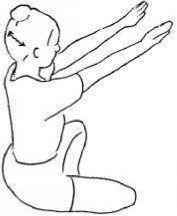 (4A.B) Next, raise the left leg and right arm, exhale and l( Continue this sequence for 1-2 minutes. Go you can. Keep the legs and arms straight. This is a good exercise with which to balanc when your energy is off - if you are feeling d physically unbalanced. 5. Sit like a yogi, in easy pose, hands in gya the knees. (5) For 3-4 minutes, chant Hara H Hara Haree Har. 6. Still sitting in easy pose, hold the hands in body at neck level, palms facing each other. monotone, extremely rapidly, chant Har Har Har, as you very quickly move the hands I forth in opposite directions. (6) Chant powerf very fast. After 30 seconds, inhale deeply ai breath in for 20 seconds. Exhale and relax. Feel yourself to be b!essed. How to sit like a yogi?